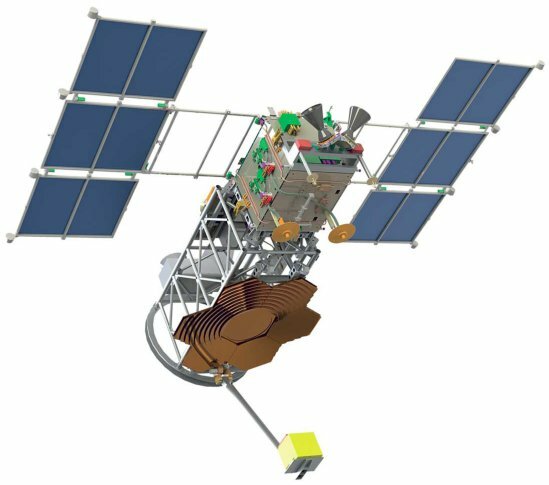 TUS (Tracking Ultraviolet Setup) is a satellite mission for the study of UHECR. It has been placed in orbit on April 28, 2016 on board the Lomonosov satellite by the Soyuz 2.1 rocket from the Russian Vostochny Cosmodrome, at an altitude ranging from 468 and 483 km and inclination of 97,3 degrees. Expected life time of the mission is more than 3 years. Results of the first year of operation have been published. The fluorescence and Cherenkov UV yield of Extensive Air Showers (EAS) generated by UHECR particles are detected from TUS at the night side of the Earth atmosphere allowing for the measurement of the CR spectrum, composition and arrival directions at E > 7 x 1019 eV beyond the GZK energy limit. TUS is also searching for objects as meteoroids, atmosphere TLEs, SQM, LSPs and it measures slowly varying UV light as airglow. The TUS detector consists of two main parts: a mirror-concentrator with an area of 2 m2 and a photodetector composed of 256 pixels, located at the mirror focus as shown in figure. The main parameters of the detector are listed in table below. The mirror-concentrator is made of an ensemble of 11 parabolic rings that focus a parallel beam to a focal point. The thickness of the mirror is 3 cm and its focal distance is 1.5 m. The mirror is cut into hexagonal segments with diagonal 63 cm. The segments are made of carbon plastic supported by a honey comb aluminium plate, covered by an aluminum film and protected by a MgF2 coat. The reflectivity of the mirror surface at wavelength 350 nm (average for the atmosphere fluorescence) is 85%. The photodetector consists of 16 clusters, each of 16 photomultipliers, for a total of 256 pixels read by the front end cluster boards. The PMTs are the R1463 of Hamamatsu with multi-alcali cathode of 13 mm diameter. The quantum efficiency of the PMT cathode is 20% for wavelength 350 nm.